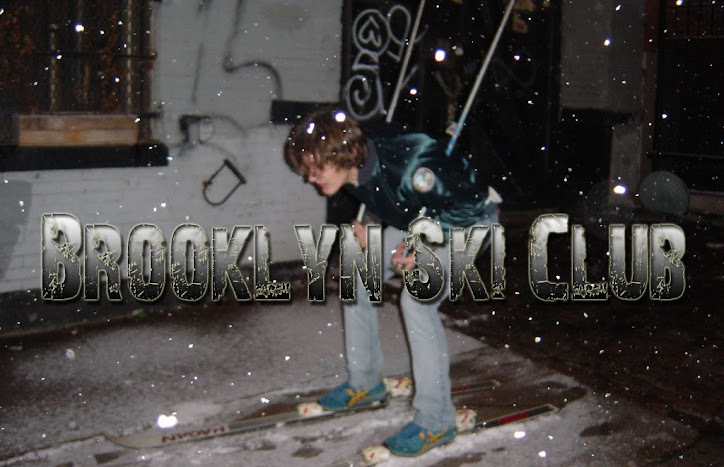 Brooklyn Ski Club: Return to Trash! I usually try and make it to Trash every week or so but last week I had prior engagements. So, I feel like I have to stop by for the party tonight. I love Trash despite my recent problems there. I have a feeling this will be better then recent times would suggest. Please come join me, we'll dance in the back. Wait... I mean there's no dancing at Rififi. They obey the cabaret law like champs.